May | 2012 | Arthur in the Garden. 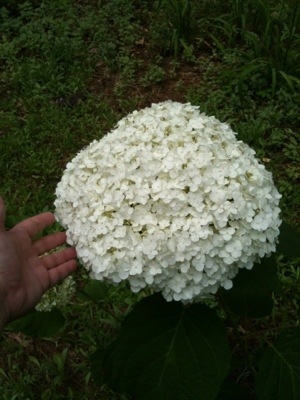 Incrediball Hydrangea is living up to its name! The cool thing about working part time at a bookstore is that…well, you get to see all the new books that come out! You can talk to customers about good books they’ve read and skim through books from all different genres in hopes to find a new and fun read. Recently this 50 Shades of Grey trilogy has blown up. 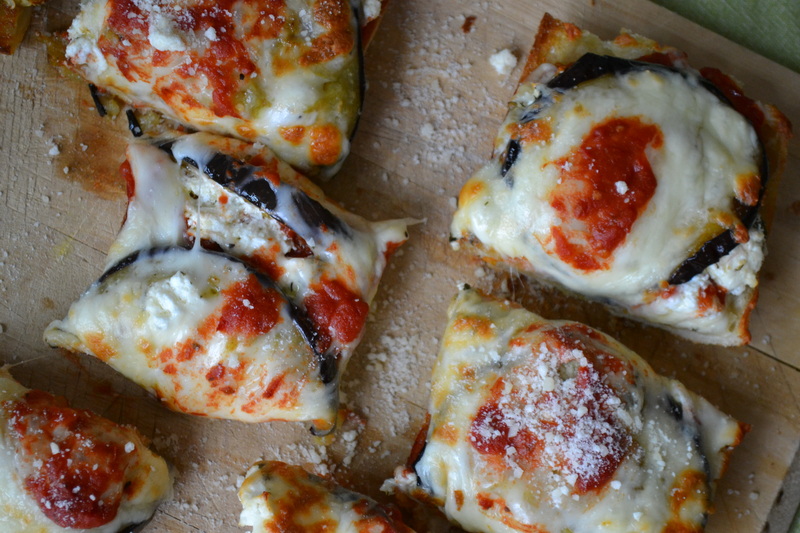 Gone crazy. Made people mad excited. It’s cool, I get it, and since these books are my store’s biggest seller by far, I knew I had to read it. 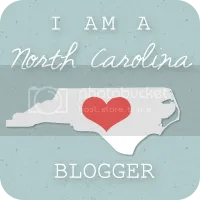 So, I did…and the book had me hooked. Note to self: Do not plant Trifoliate orange where it would require pruning! 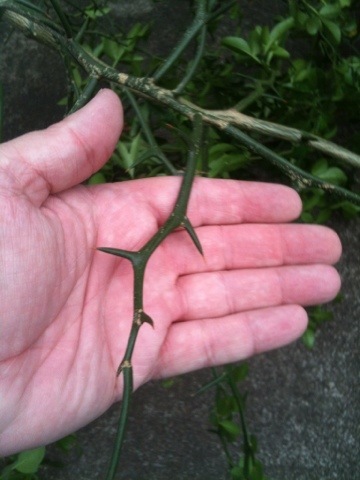 Wearing gloves and a heavy jacket were not much protection from these thorns! It tends to grow into a large and tangled mess. Fragrant, typical citrus blooms in the Spring are followed by golf ball size, sour and seedy, oranges. You can use them in drinks or some other recipe where you need a sour citrus. When the fruits fall to the ground the seed germinate easily so I collect them and either throw them in the garbage or you can let them dry to use for decoration. 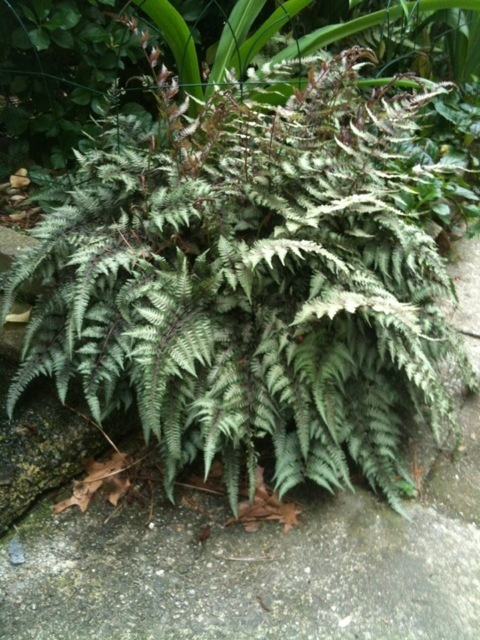 Ghost Fern, Athyrium ‘Ghost’, is one of my favorite ferns! Smaller than most ferns, about 18″ by 18″, but the bright silver, gray, and burgundy fronds brighten the garden.this deciduous fern spreads slowly to create a beautiful groans cover.